I've been writing a series of articles looking at how the way I've listened to music over the last 30-or-so years has changed with the different formats music has been sold in. The introduction of the Compact Disc in the early 80s digitized music, but it wasn't until the advent of cheap home computers in the late 1990s that the true impact of this decision began to be felt. Digitization paved the way for two new ways of organising and consuming music - the MP3 Player, and the ability to cheaply burn your own CDs. I only succumbed to the iPod hype in 2005. Until Christmas 2004 I was still using an ancient but lovable PC running Windows 98 which wouldn't support iTunes. It was only when I bought a new computer, and my wife expressed an interest in getting an iPod that we had one in the house. It was a few months later when I first used it myself. My trusty portable MiniDisc player was a recordable model, and I didn't want it confiscated when I went to a Primal Scream gig at Brixton, so I borrowed my wife's iPod. It was sitting on the night bus out of Brixton that I first discovered the joy of making 'On the go' playlists out of the obscure and ignored songs lurking on the machine. I was hooked, and was at the Apple shop in London buying one for myself the next day. 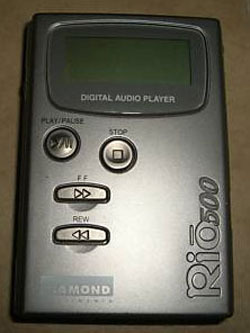 The first MP3 Player I had used, though, was a Rio MP3 Player, with just enough built-in memory for about 12 songs. I got it chucked in as a special offer when I purchased a Dell computer back in 2000, and thought I'd try it out. Although the player itself was fine, and I liked not having to carry a bag of clunky MiniDiscs or cassettes with me when I went out, the lack of memory meant it was a pain to have to update it every time you fancied listening to something new. I don't think that this is a picture of the exact model, but it looked pretty similar to this. In the end, I left the same twelve songs on it for months, and just used it occasionally if I was making small trips down to the shops or the pub down the road. It was the heyday of the original Napster, and file-shared bootleg versions of Radiohead's 'Optimistic', 'Knives Out', 'Wicked Child' and a live version of 'Pyramid Song' (when it was still titled 'Egyptian Song') would loom large in any 'most listend to' list compiled from this era. 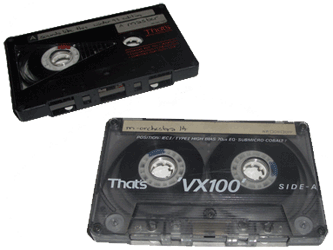 The chief factor in not using the player very much, though, was the software required to upload new songs onto the machine. This was really buggy, and frequently crashed. It also did a poor job of managing the metadata associated with tracks. All in all it was a pretty unsatisfactory user experience. Artist, track and album details encoded in mp3 files, displayed on player screen. Selecting tracks stored on a PC as mp3 files to be uploaded to a player. A maximum of 12-14 tracks available depending on length and encoding bit-rate. 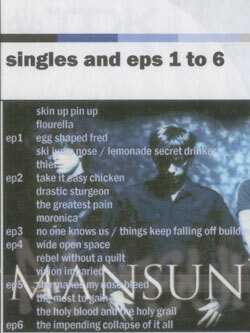 Unreleased bootleg Radiohead tracks that would eventually feature on 'Kid A' and 'Amnesiac', downloaded from Napster. I got on much better with the practice of burning CDs. When the Compact Disc was introduced, the idea that you could use them as a cheap blank storage medium at home seemed ludicrous. At one point in the 1980s, one record shop in Oxford Street actually had a mini-CD pressing plant on display downstairs, so that you could buy a copy of a CD that had been manufactured in front of you. This emphasised how the process was seen as an industrial one, rather than as something that would eventually supplant home taping. I pretty much had two use cases for burning CDs, either to make single artist compilations of material spread across a variety of formats, or to make monthly compilations of my favourite new tracks to play whilst I was at work. Since the early eighties the music industry had developed the multi-format release of singles as a marketing concept to attempt to improve chart positions. This meant that often, from a single album, an artist might release four or five singles. Each of these would come on two different CD singles that were not allowed to exceed 20 minutes in duration, plus a load of promo only remixes or tracks that were exclusive to vinyl. Having a home computer that could burn CD compilations soon had me assembling single discs from this diverse array of material. For albums like Depeche Mode's 'Exciter', I would have the original CD by the artist on my shelf, and tucked next to it my own custom made 'Exciter Extras' disc. This meant I could play the best of the bonus tracks all in one go, without having to dig out 5 CD singles, a 7" single and two promo only 12" singles. Now, of course, I can achieve the same effect with considerably less effort, just by dragging-and-dropping some titles and making a playlist in iTunes. My monthly CD compilations would feature my favourite new tracks of the month, and with the advent of desktop publishing software I would make custom monthly sleeves for them with pictures from the news of the time, the idea being that they would make an interesting snapshot of what was going on and what I was listening to at a later date. In fact, I still do this to an extent with iTunes, making a monthly playlist which I gradually add new releases and popular re-discoveries to, and play on shuffle when I'm out and about. Burning home CDs also led to a new Christmas ritual amongst friends. A few of us would burn hour long compilations of our tracks of the year, and then swap them as presents. Custom covers made using desktop publishing software. Titles written onto Compact Disc with special marker pen. Ripping CDs or recording vinyl or MiniDisc direct to a PC, then using software to burn a Compact Disc in the audio format. 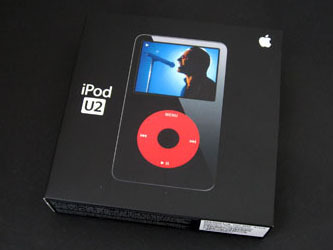 The CD could then be used as a conventional CD, with programming of the playback or random play. Radiohead, Elbow, Spain, David Sylvian, Divine Comedy, Nick Cave, Depeche Mode, Blur, lots of b-sides and remixes made into single-artist compilations, and monthly compilations of new material. In the final part of this series, I'll be wrapping up the transformation in the way I've made musical playlists between 1974 and 2008. By Martin Belam on 28 July 2008. I had a Rio, which I loved - it held just enough songs to cover my walk to work. I didn't pay for mine, either - I won it in a competition at the now-defunct music site theknowledge.com; back in the days when the net was the sort of place where if you entered a competition you were almost guaranteed to win.